Juliana's experience as a fiber artist gives her present work — featuring acrylics, fiber, and gold leaf — a rich, layered look. 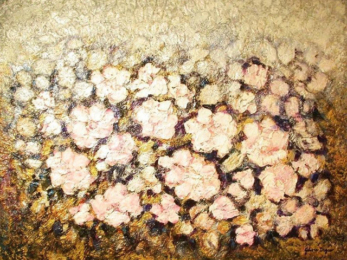 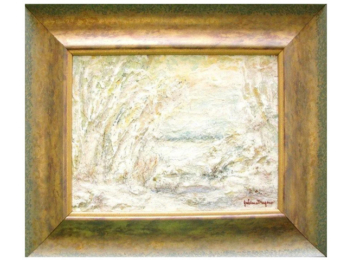 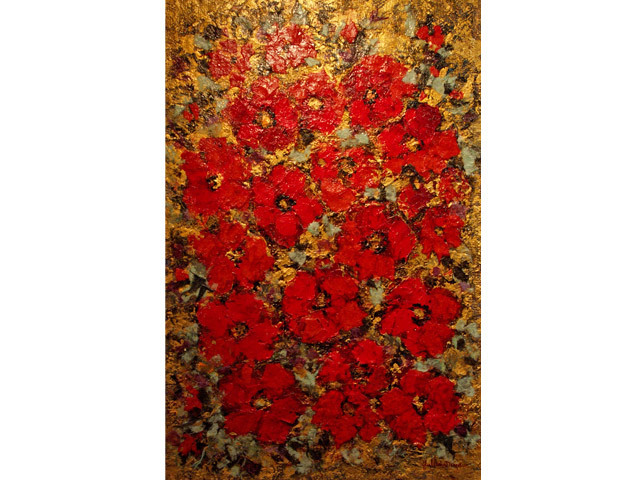 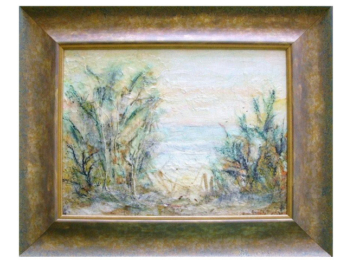 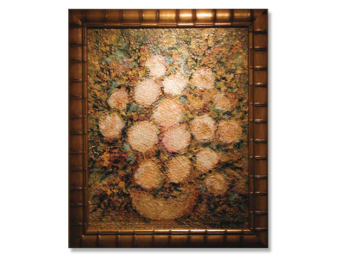 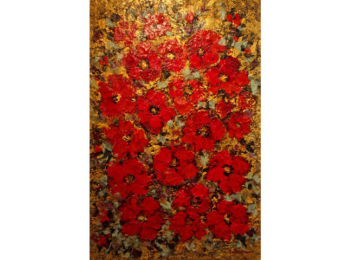 Her landscapes and floral works are essential for any serious art collector. 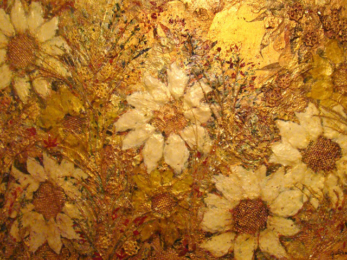 Friends in Early Morning, Mixed, 36x24"